House-flipping is one of those hobbies or occupations that a lot of people are drawn to by the lure of big dollars for comparatively little work. After all, the concept is pretty simple. You find a house that is priced low that needs some work, buy it, complete the work and sell it for a huge profit. The perfect house flip. Of course, it doesn’t always work out this way. In fact, anyone who has been through it a time or two knows that it rarely works out this way. It’s even more challenging now that real estate prices seem to be forever climbing and the house-flipping competition is at an all time high. Still, if you are intent on giving it a try, it’s important to learn a few things before you begin and not when you’re already half-way through. Research is never very exciting, but it’s always necessary and if you don’t do it you’ll be left out in the cold in the house-flipping game. Take the time to compare the home you want to flip with others in the area. Also, look a little closer at the renos that were done on the other homes that have sold. Just because a house in the area sold for a great price doesn’t meant the profit margin was also great. It also doesn’t mean that you will get the same price by doing some minor renovation and repair work. Keep an eye on what upgrades people have been doing in the neighbourhood before you get too excited. It’s easy to get the “buy low and sell high” mantra stuck in your head with house-flipping, but buying low isn’t always the answer to big profits. Finding a house that’s priced way below the average for the area may mean that it is falling apart and requires that much more in repairs to bring it back up to where it needs to be. You never want to overpay, because you’ll never make decent money flipping houses, but too low isn’t good, either. Here’s a scenario: House A sells for $200,000 and needs $75,000 worth of work done and House B, which is similar, costs $250,000 but only needs $25,000 worth of work. House A looks like the better deal, but in the end they each work out the same, only you’ve done a lot more work with the cheaper house. When you make the decision to try and flip a house, keep in mind that you need to have adequate savings to use while the process is taking place. This is especially true if you are working on the house flip full time and don’t have another full time source of income. You need money for living expenses, all the renovations and any incidentals that may come up, which isn’t uncommon. Also, if that house doesn’t sell on the schedule you’ve created in your mind, you will have to wait longer for your profits. Sometimes, houses sit on the market for weeks or longer, even with all the wonderful upgrades you’ve made. Remaining realistic throughout the process is also a tip that many house-flippers lose sight of along the way. The goal is to make money, so creating visions of selling seven-figure homes in areas where houses have never been above the mid six-figures, is not realistic. It is imperative to stay grounded in reality and remember where you are trying to sell the home. It’s nice to upgrade with the best possible fixtures and having a “vision” is great too, but making money is the main objective. Realism and even a little conservatism in your math is also a good idea when flipping a house.Once you figure out how much the project will cost, add several thousand dollars to that because costs have a way of adding up fast. No one ever complained about having too much. Looking at the house you want to flip as a whole entity or property will help you choose the home purchased loan, appropriate upgrades and delegate funds where they will provide the greatest benefit. 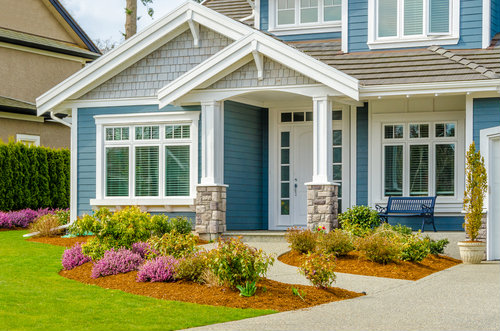 You want balance in your repairs and upgrades, so it’s important to look at the landscaping over the property, exterior of the house, the kitchen, bathrooms, bedrooms, flooring, paint, ceilings, lighting, even the molding and smaller features like outlets or switch plates. Plumbing, electrical and similar elements that are hidden from view are also very important. You’ll always hear about certain rooms or certain aspects that can’t be ignored, but unless you look at the property as a whole, it won’t be as good as it should be.